Today's card is the last (BOO!) of Lotus Blossom week and it's another gorgeous card, if I do say so myself! Having used just one color for the other four creations, I've used 2 for today's card, Strawberry Slush and Blackberry Bliss, so you could say this card is berry-licious! 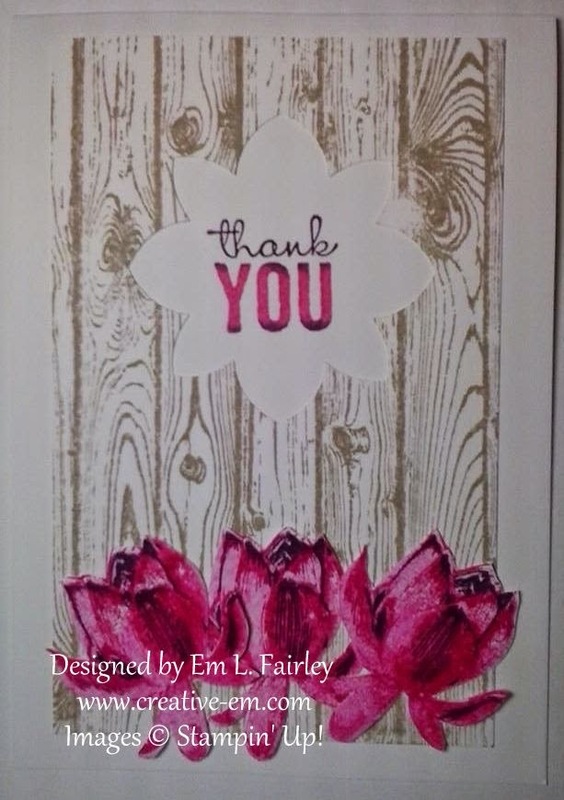 Stamp sets: Lotus Blossom, Hardwood and Painted Petals (sentiment). Stamp the step one Lotus Blossom stamp in Blackberry Bliss onto Whisper White. Complete the blossoms with Strawberry Slush ink, stamped off once. Fussy cut with Paper snips. Stamp the Hardwood onto the panel in Crumb Cake. Punch with the Flower Medallion near an and and trim to even if need be. KEEP the punch out for another project! Attach panel to folded base card. 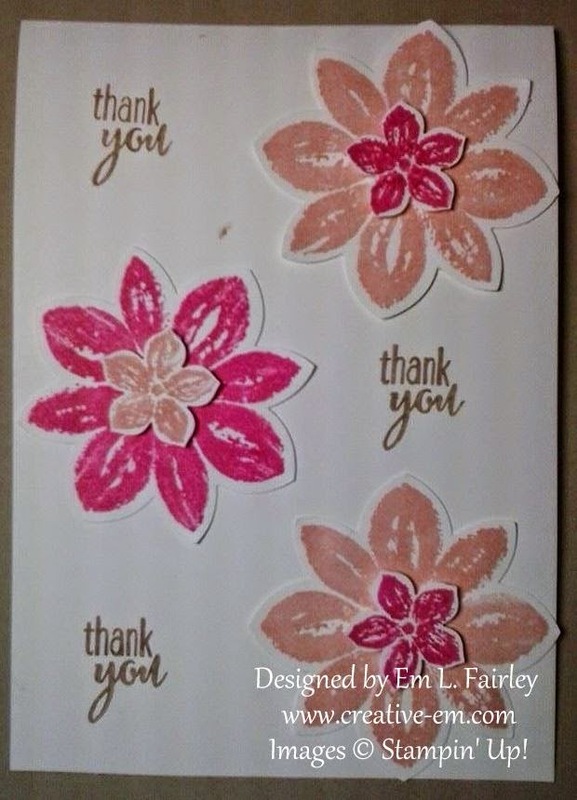 Ink the sentiment stamp with the Strawberry Slush marker, then color the "thank", top and bottom of the "you" with the Blackberry Bliss marker. Stamp in the aperture. Attach the blossoms with Mini Glue Dots. 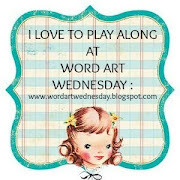 I'll be back on Sunday with special post, so I hope you'll join me then. In the meantime, have a great weekend! 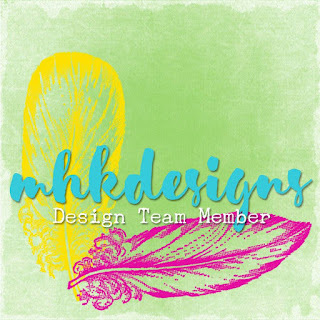 Labels: Flower Medallion Punch, Hardwood, Lotus Blossom, Painted Petals, Stampin' Up! Thanks for stopping by and for all your wonderful comments! I'm honored to have you here and truly appreciate each of you more than you know! Randomly stamp the flower onto a Whisper White panel and once onto another piece, (I started by stamping the now hidden one in the center). 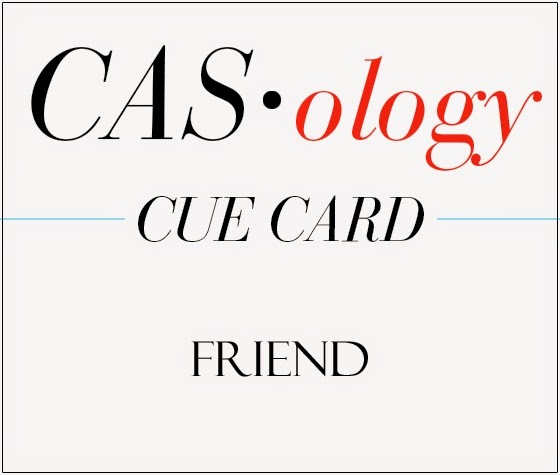 Attach to folded card base. Color the additional bloom with Crisp Cantaloupe, punch out and attach to the panel. 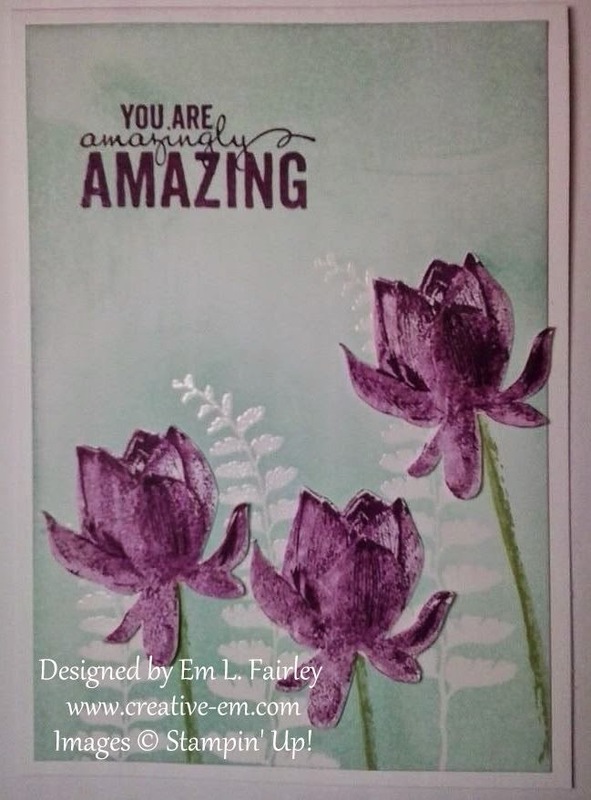 Color the sentiment stamp with the Crisp Cantaloupe marker and then carefully color the "you are" and "amazing" with the Strawberry Slush marker. Punch out. Punch another from Crisp Cantaloupe, cut in half horizontally and trim the points. Layer behind the sentiment and attach to panel. 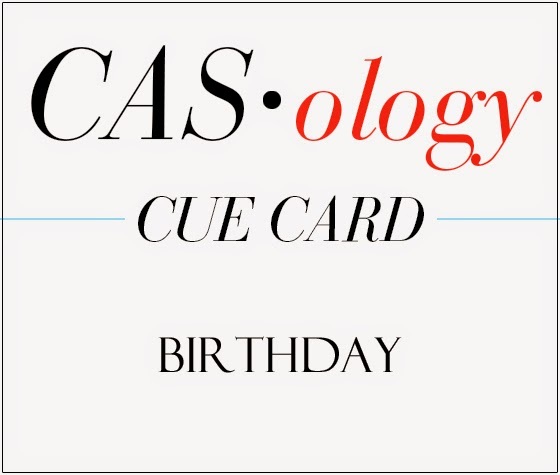 All the products I've used to create today's card are available 24/7 from my Online Shop. Click the images below to be taken straight to them. Whatever you're doing this weekend, have a great one! I'll be back on Monday, so I hope you'll join me then. Thanks for stopping by and for all your wonderful comments! I'm honored to have you here and I truly do appreciate each of you more than you know! Stamp the image in Versamark randomly on a Whisper White panel, cover with White EP and heat. 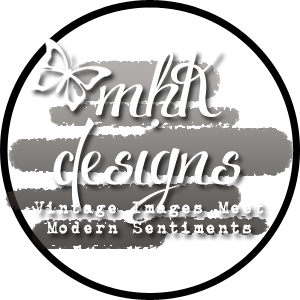 Stamp the sentiment in the same way onto more Whisper White and punch out with the Bracket Label Punch. Sponge ink over both the embossed panels and attach to the card base. I'll be back tomorrow with the last of this week's Petal Potpourri creations, so I hope you'll join me then. Stamp the flower image from Petal Potpourri randomly onto a panel of Whisper White and once onto a spare piece. Adhere panel to folded card base. Color the additional one with the lightest shade of Coastal Cabana Blendie and punch out. Stamp the sentiment from Tag Talk on Whisper White and punch out. Punch piece of Lost Lagoon card and layer together. 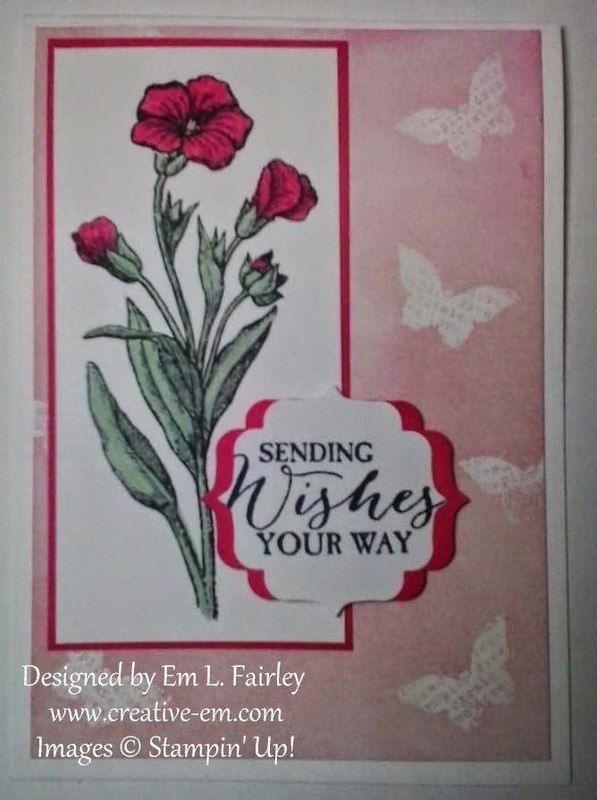 Attach sentiment and flower to card using Stampin' Dimensionals. I'll be back tomorrow with another, very different card using the Petal Potpourri stamp set, so I hope you'll join me then. Thanks for stopping by and for all your wonderful comments! I'm honored to have you here and I truly appreciate each of you more you know! 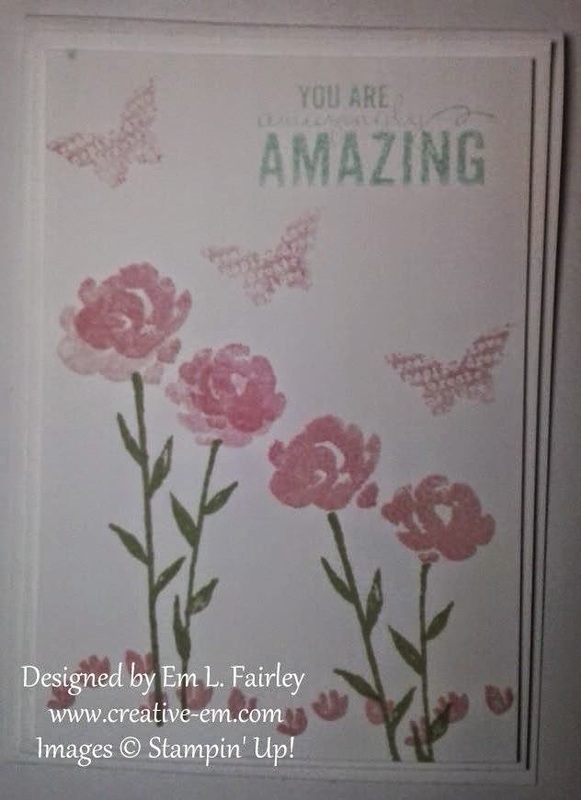 Stamp 2 flowers in one color and one in the other and punch out. 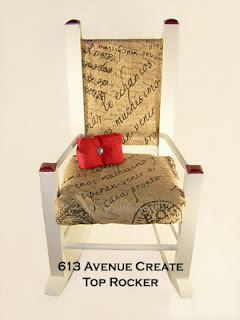 Use a mini glue dot to adhere together. 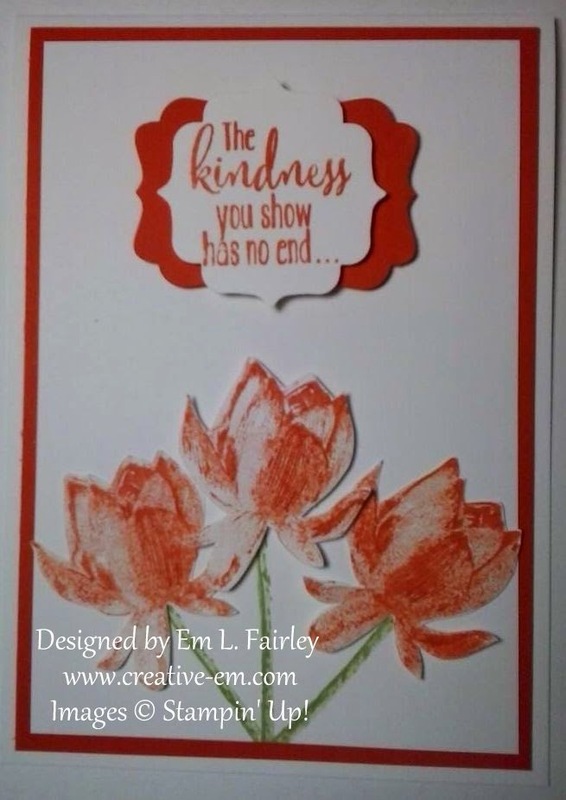 Stamp the sentiment 3 times onto the card base and adhere the flowers. 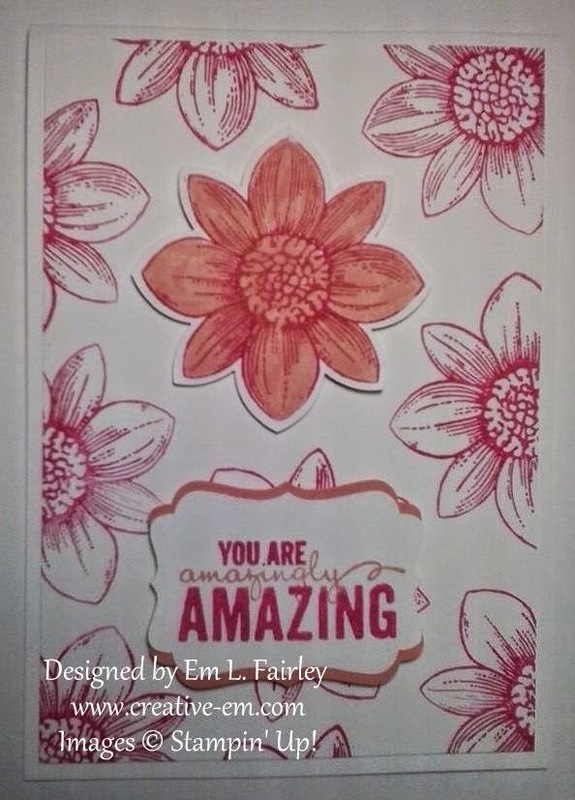 I'll be back tomorrow with another card created using the Petal Potpourri stamp set, so I hope you'll join me then. All the products I've used to create today's card are available 24/7 in my Online Shop. Click the images below to go straight to them. 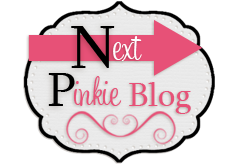 I'll be back TOMORROW with a very rare, but very special Saturday post, as I join my Pinkie sisters for a blog hop, so I really hope you'll join me. 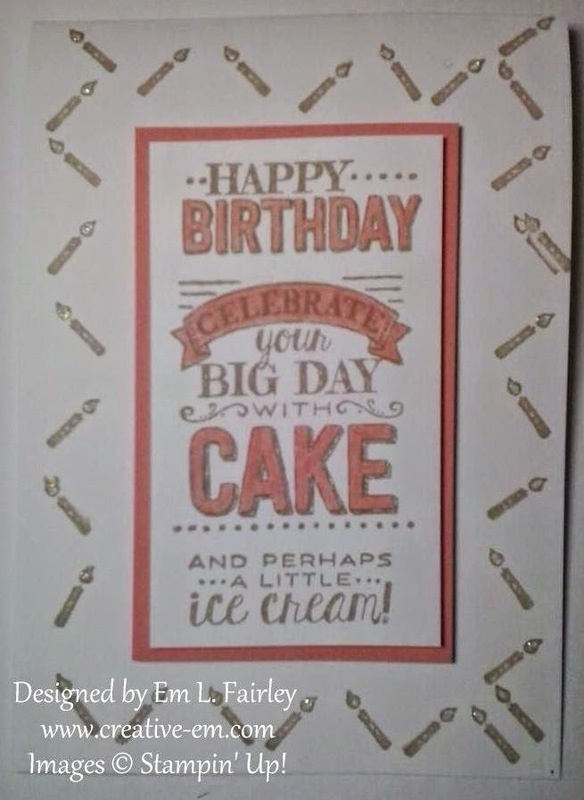 I absolutely LOVE the emboss resist technique I used on the card I shared yesterday. 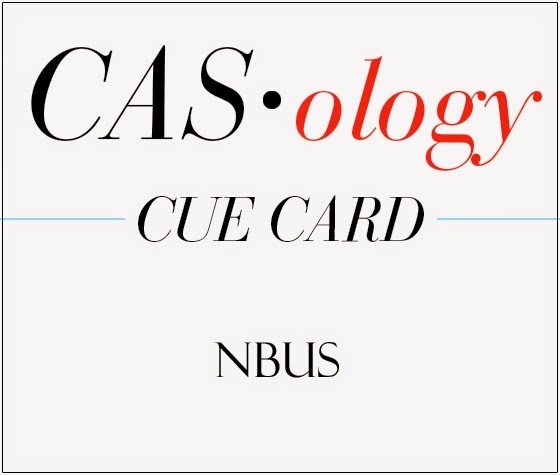 What I didn't say is that that card was the first time I've EVER tried the technique. 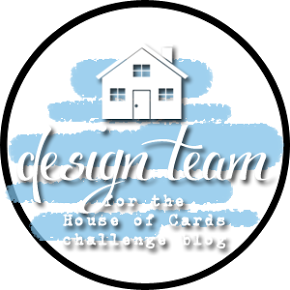 I had so much fun creating the card that I had to do some more! 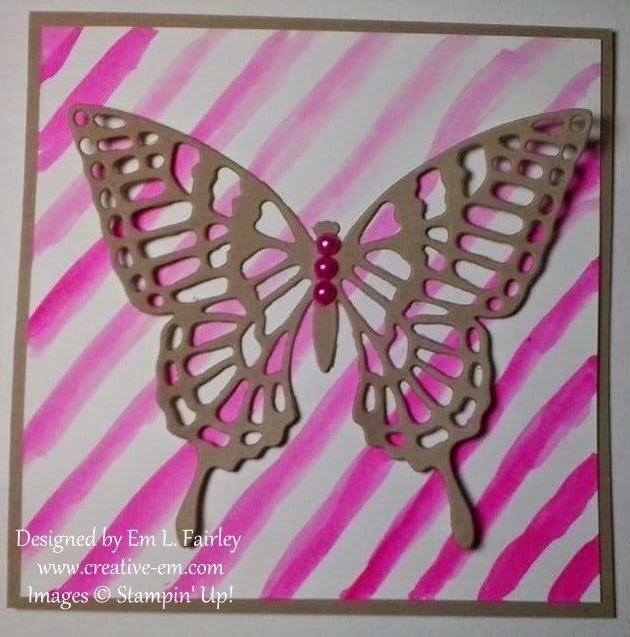 I'll be back tomorrow with another creation using Butterfly Basics, so I hope you'll join me then. 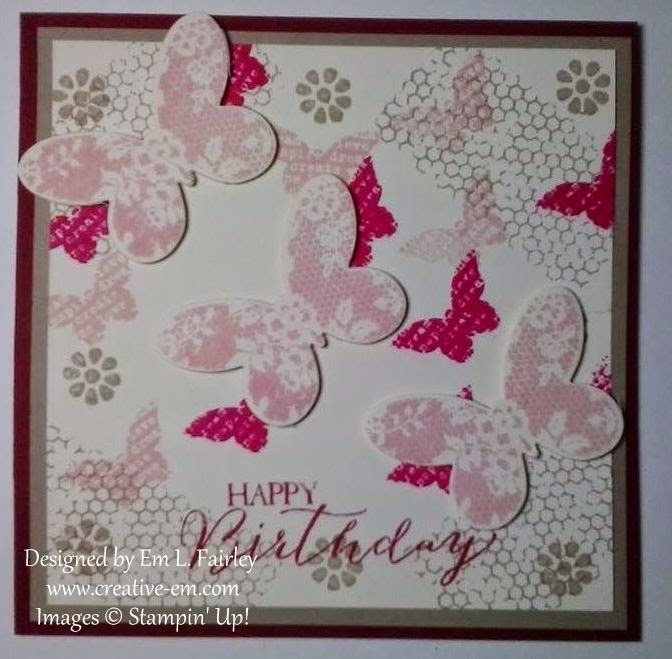 Labels: birthday, Butterfly Basics, emboss resist, Stampin' Up! 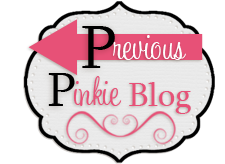 Regular readers might recall how much I LOVE the Blendabilities markers from Stampin' Up! If so, it might surprise you to hear that it took me until yesterday to use them this year! What??? It was well worth the wait though and I can't wait to get my hands on the FOUR new sets from the Occasions catalog! I stamped the image in Memento ink on Whisper White card. I've colored the flowers with the Pumpkin Pie blendies, the leaves with Old Olive and the branch with Bronze from the Skin Tone set. 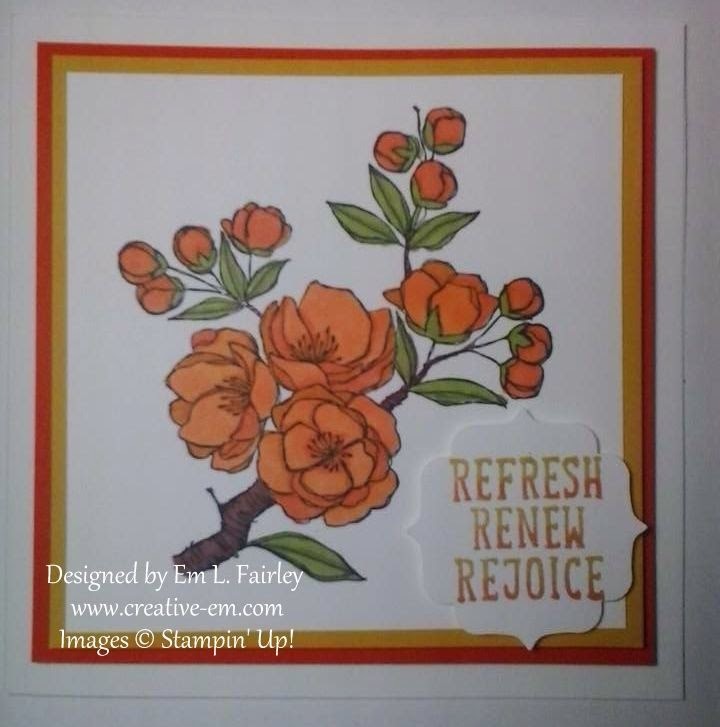 The dual color look of the sentiment is easy to achieve thanks to the 2014-2016 In Color Stampin' Write Markers. Using the brush tip, I colored it all in Hello Honey, then went over the lower part of the letters with the Tangelo Twist marker. To complete the card I popped the white panel onto Hello Honey and Tangelo Twist using Stampin' Dimensions and added a few more to the sentiment, which I'd punched out with the Bracket Label punch. 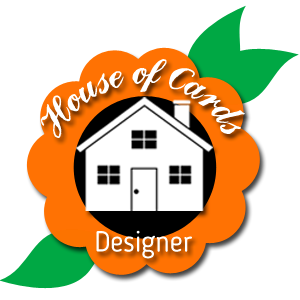 I'll be back tomorrow with a more subtle design, so I hope you'll join me then. 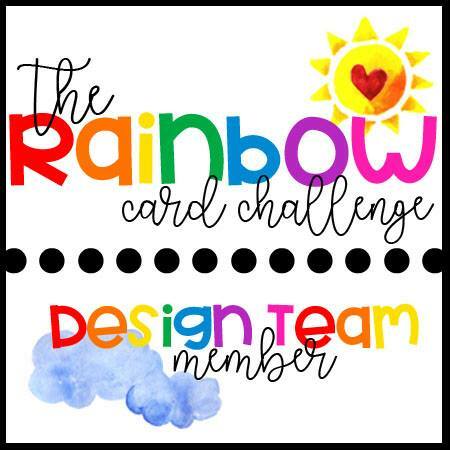 I created the card I'm sharing with you today using one of the FREE stamp sets, Big Day, that you can get during Stampin' Up! 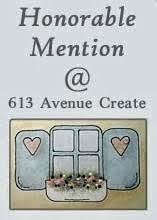 's Sale-A-Bration event. 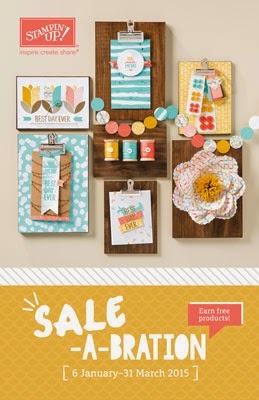 If you missed yesterday's SAB and Occasions catalog launch post, you can see it here). 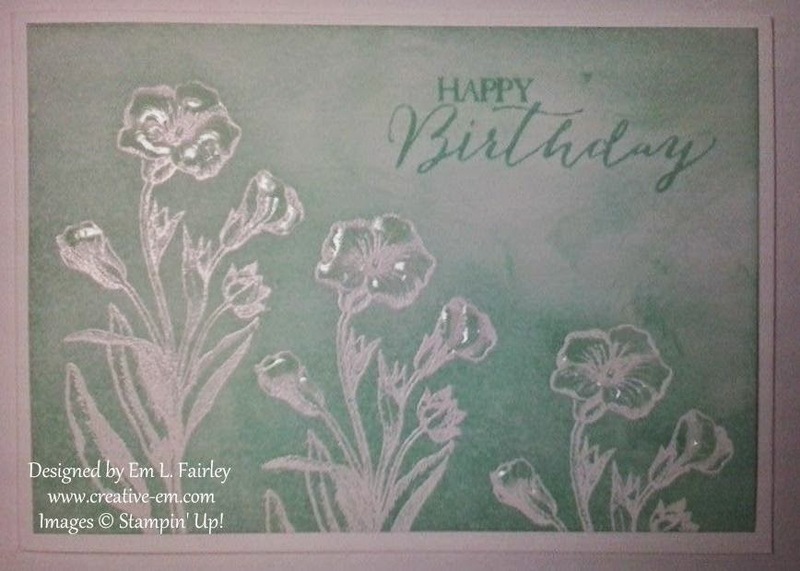 I've stamped everything in what else but Crumb Cake ink, then colored the lettering and banner with my Crisp Cantaloupe Stampin' Write marker from the 2013 - 2015 In Color set, and I then layered the Whisper White stamped layer onto a Crisp Cantaloupe panel. To add a finishing touch of glitter I've used Dazzling Details on the candle flames, although the photo doesn't shown this well, I assure you it's there! 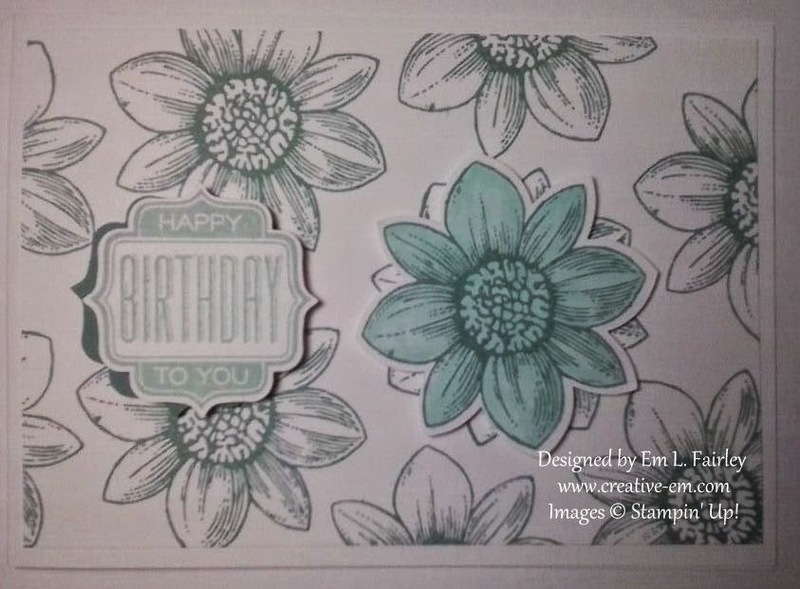 I'll be back tomorrow with a card created using one of the new stamp sets from the new Occasions catalog, so I hope you'll join me then. Today is the day many of you have been waiting for! It's the day that Stampin' Up! 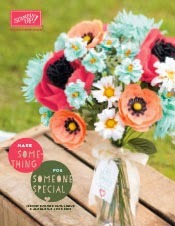 have launched the new Occasions catalog, which you can browse right now online by clicking here. The great news is that you can order right now from my Online Shop. That's not all though. Yep, they are spoiling us! Today is also the day that Sale-A-Bration 2015 launches! From today until March 31, 2015, for EVERY £45 you spend you'll be able to choose a FREE item! There are lots to choose from and you can browse them here. I mentioned in yesterday's post how much I like all the goodies in the new catalog and how I want all of it! 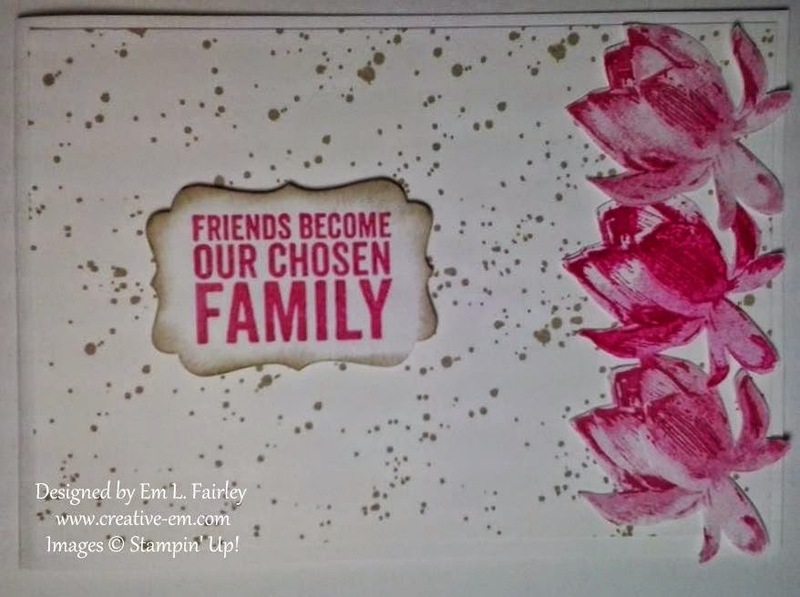 The same was true six months ago with the launch of the last seasonal catalog and so I chose to join Stampin' Up! then. Now is an even better time to join than it was then because in addition to all the great benefits of joining, including choosing £130 products and paying just £99, you'll also get to choose either 2 FREE Sale-A-Bration items or a FREE Simply Created Project Kit from the new Occasions catalog. Click here to see all the benefits of joining. 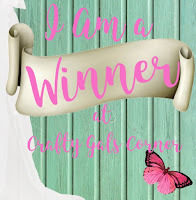 If you'd like more information about any of the new products or about joining Stampin' Up and my "Creative crew", give me a call on 0151 200 2110 and I'll very happily answer any questions you have. Alternatively you can email me at emlouisef (at) gmail (dot) com. 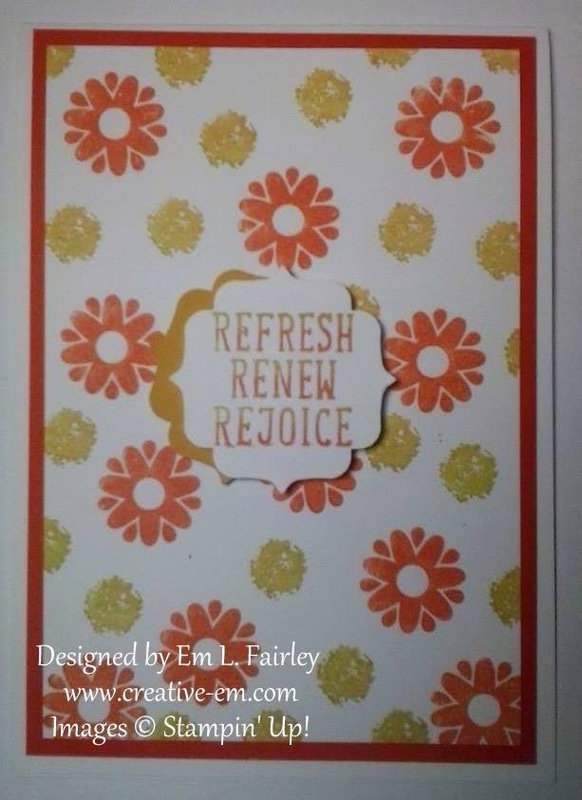 I look forward to sharing some of the creations I've made with the new products and indeed I'll be back tomorrow with a card created with one of the FREE Sale-A-Bration stamp sets, so I hope to see you then. 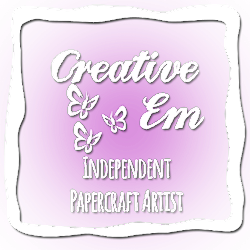 Labels: Creative Crew, Occasions Catalog, Sale-A-Bration, Stampin' Up! Happy New Year! 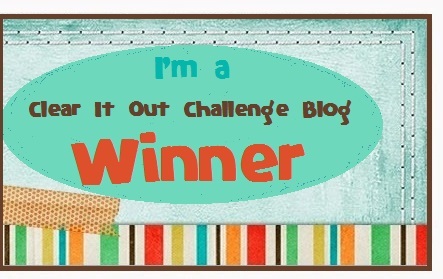 Thanks for stopping by and for all your wonderful comments on my New Year's Eve post. 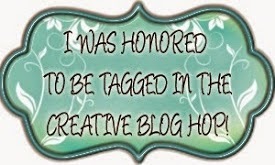 I'm honored to have you here and truly appreciate each of you more than you know! A quick reminder that today is the last day to order from the Seasonal catalog and the Year End Closeouts also end this evening. So if there's anything you wanted but haven't got around to buying yet, there's only a few hours to do so! 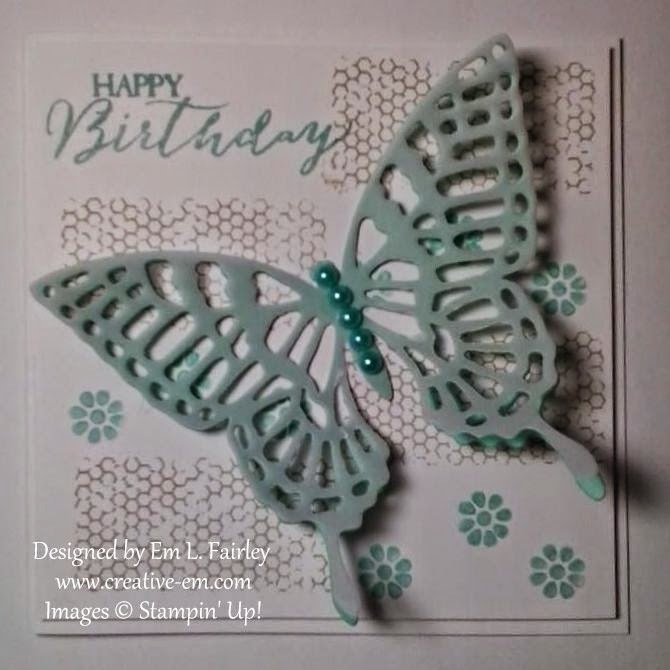 I've used the new Butterfly Basics stamp and die bundle to create the card. Regular readers will perhaps not be surprised that it was at the top of my "Must have" list as soon as I saw it, because of my love of butterflies! 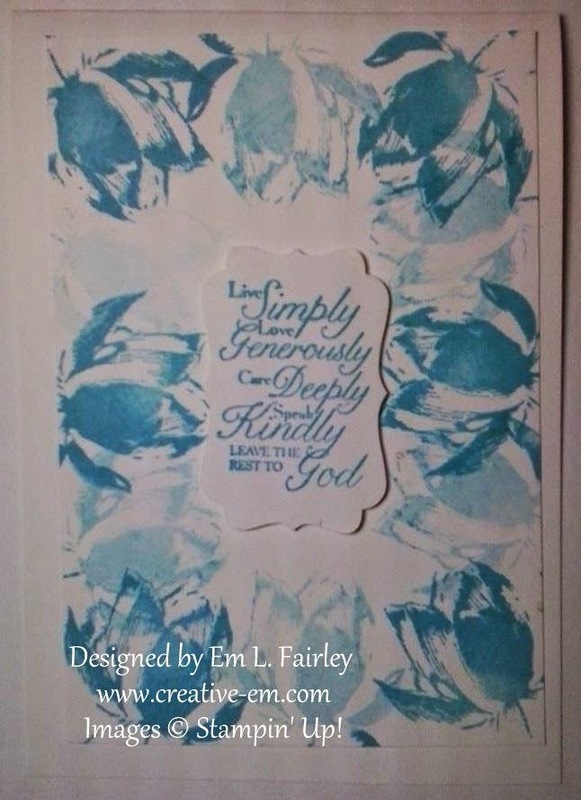 I stamped the foliage from the set in pear pizzazz 3 times for the graduated look onto a Whisper White panel. 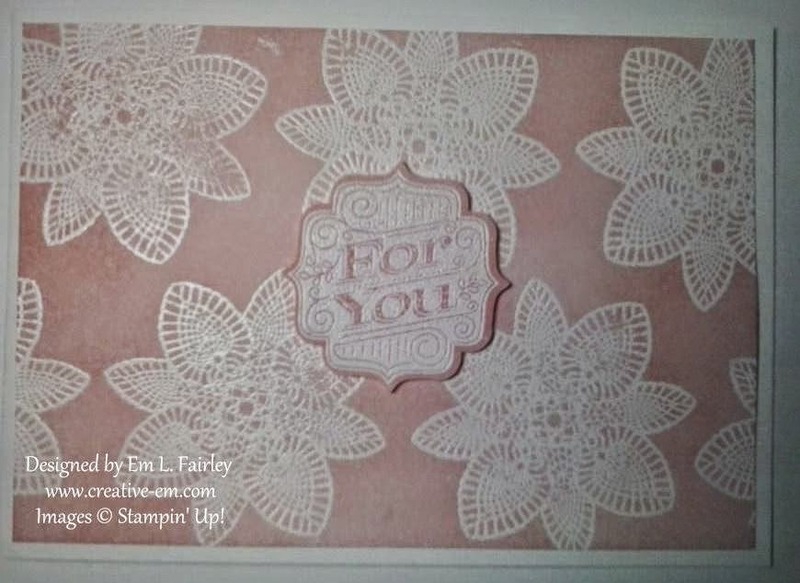 The Sentiment is one of 3 in the set and is stamped in Melon Mambo onto more white and punched with the Decorative Label punch and layered onto Crisp Cantaloupe. 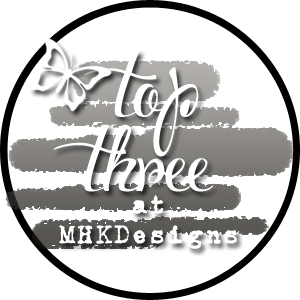 The delicate butterfly is the second of 3 in the die set and has been cut from Strawberry Slush card. 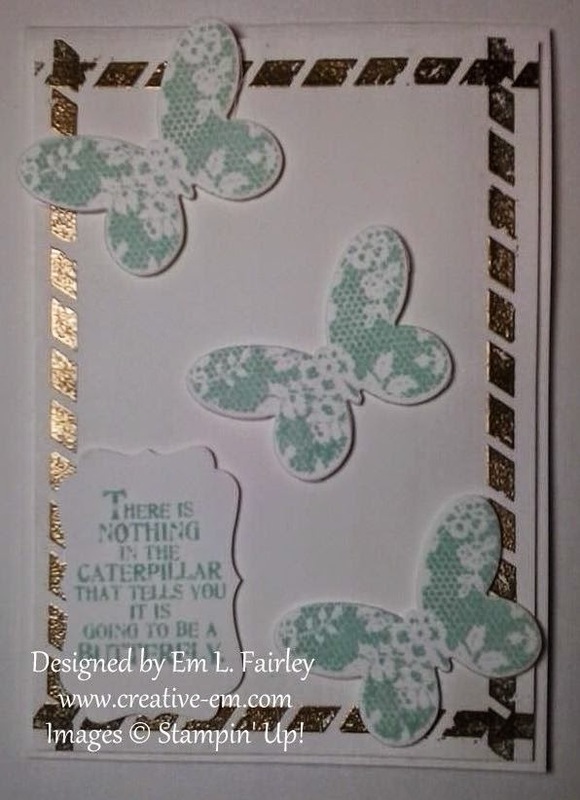 To complete the design I layered the stamped panel onto a Pistachio Pudding base card, added Basics Pearls to the butterfly body and popped the sentiment up with Stampin' Dimensionals. I'll be back tomorrow with another colorful creation, so I hope you'll join me then. 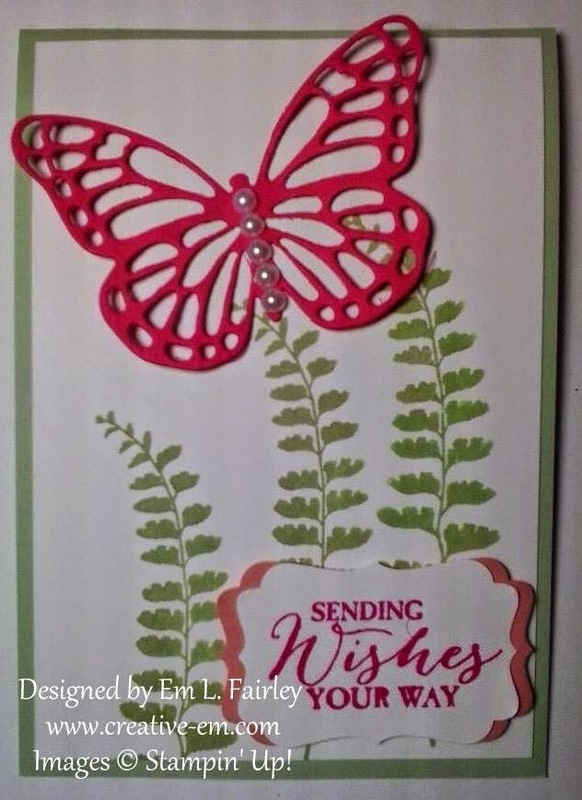 Labels: Butterfly Basics, Decorative Label, Sending Wishes, Stampin' Up!